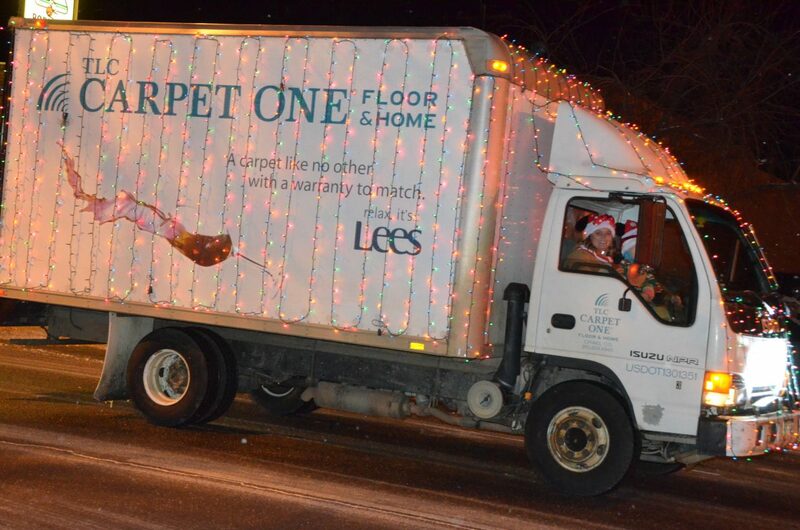 A TLC Carpet One truck is covered top to bottom with decorations during downtown Craig's Parade of Lights Saturday night. 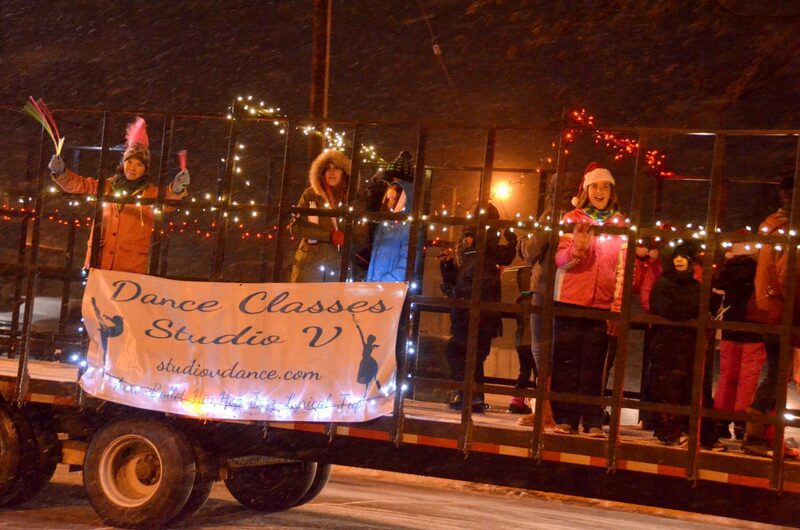 Members of Studio V stay cheery on their float during downtown Craig's Parade of Lights Saturday night. 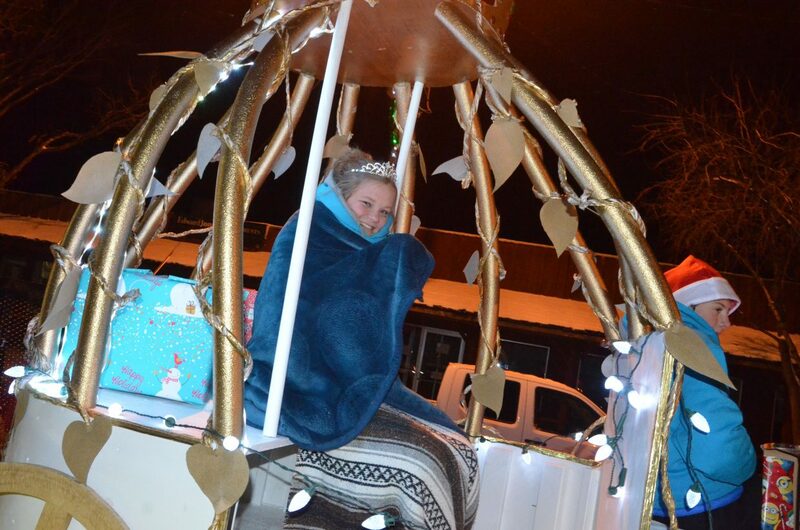 Moffat County High School's Caroline Riley stays bundled up in Cinderella's carriage on MCHS theater's float as part of downtown Craig's Parade of Lights Saturday night. 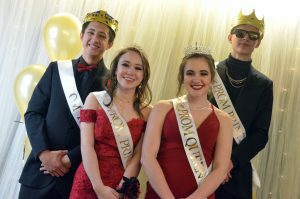 Harsh weather is snow problem for Colorado Northwestern Community College drivers along Victory Way during downtown Craig's Parade of Lights Saturday night. 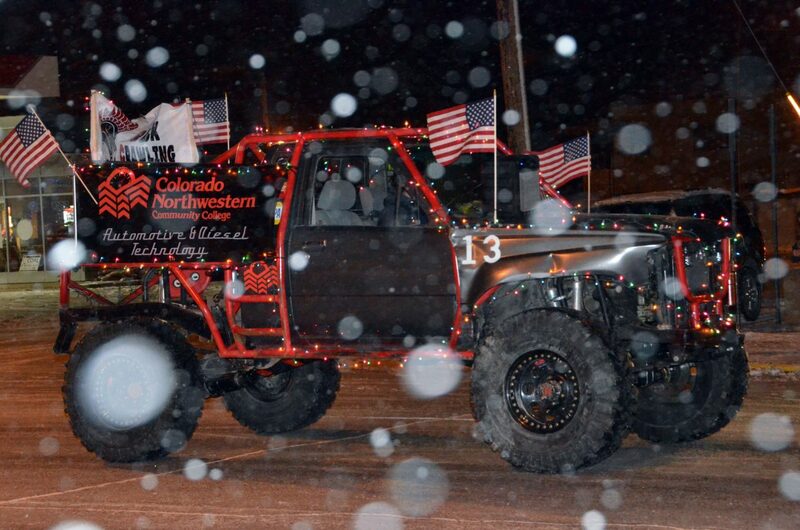 Santa and reindeer sport new wheels outside Lube Plus during downtown Craig's Parade of Lights Saturday night. 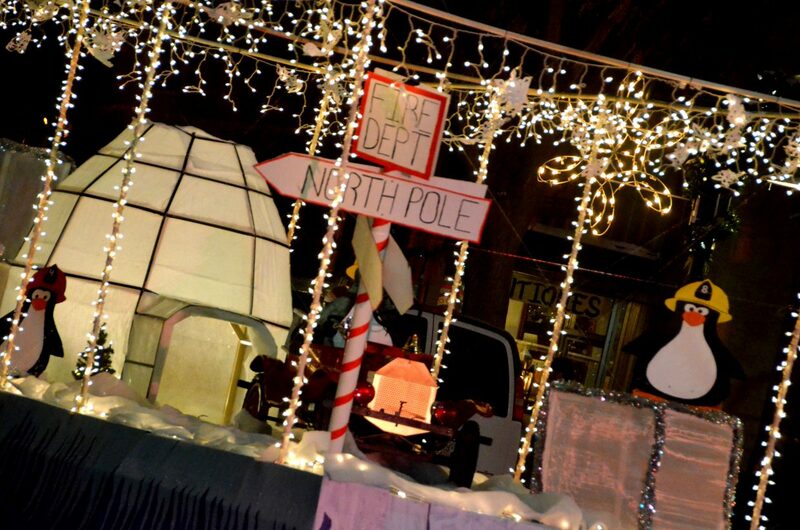 "Home for Christmas" is among the top three prize winners as part of downtown Craig's Parade of Lights Saturday night. 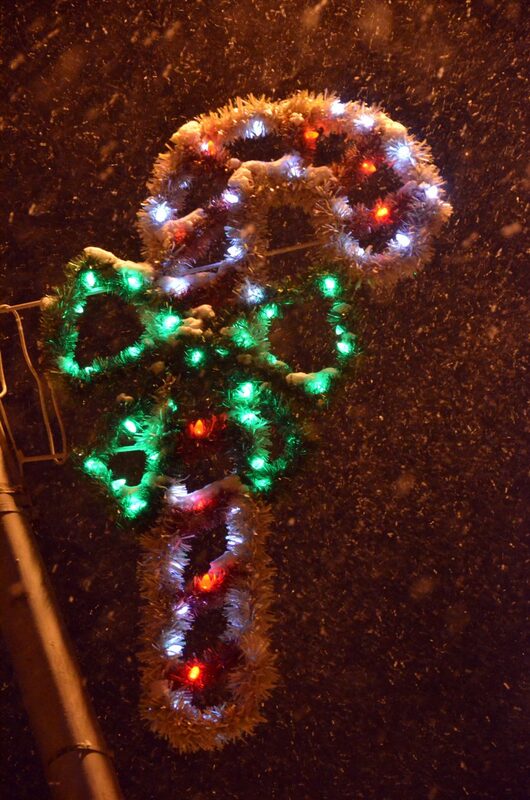 Snow swirls around a candy cane decoration above Victory Way during downtown Craig's Parade of Lights Saturday night. 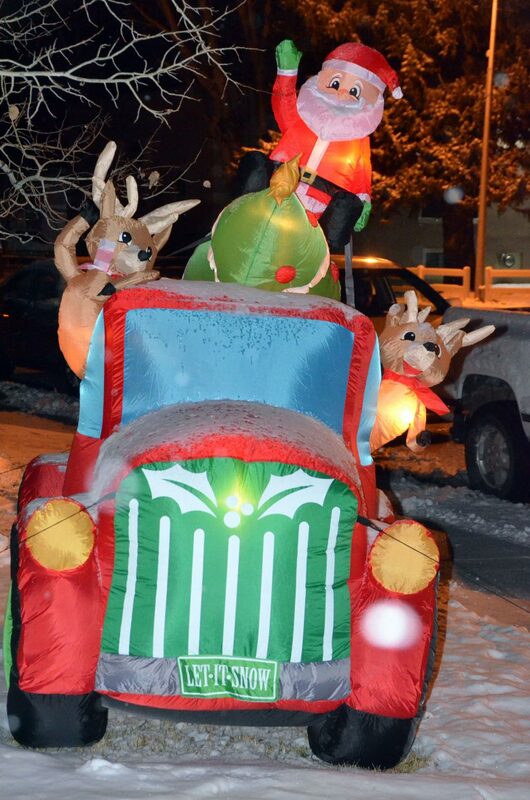 Craig Fire/Rescue's North Pole float is the 2018 winner of Yampa Valley Electric Association's brightest lights prize as part of downtown Craig's Parade of Lights Saturday night. 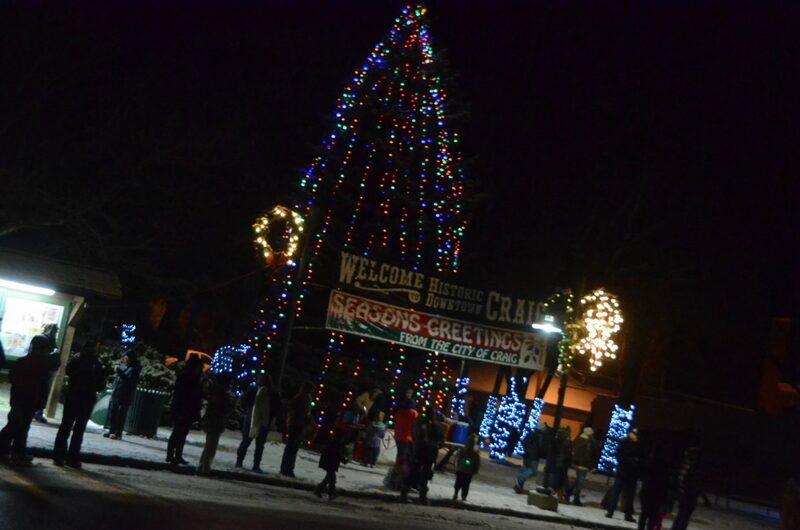 The newly lit tree in Alice Pleasant Park shines brightly leading up to the downtown Craig Parade of Lights Saturday night. 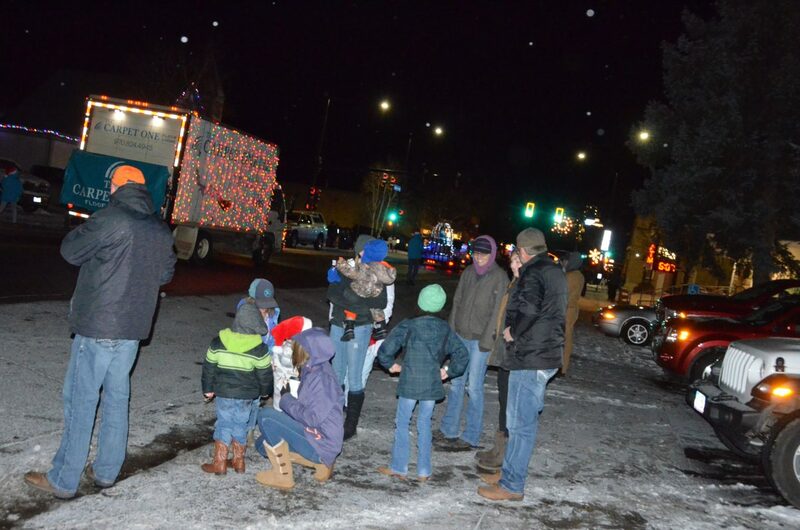 Spectators stake out spots along Yampa Avenue as to enjoy downtown Craig's Parade of Lights Saturday night. 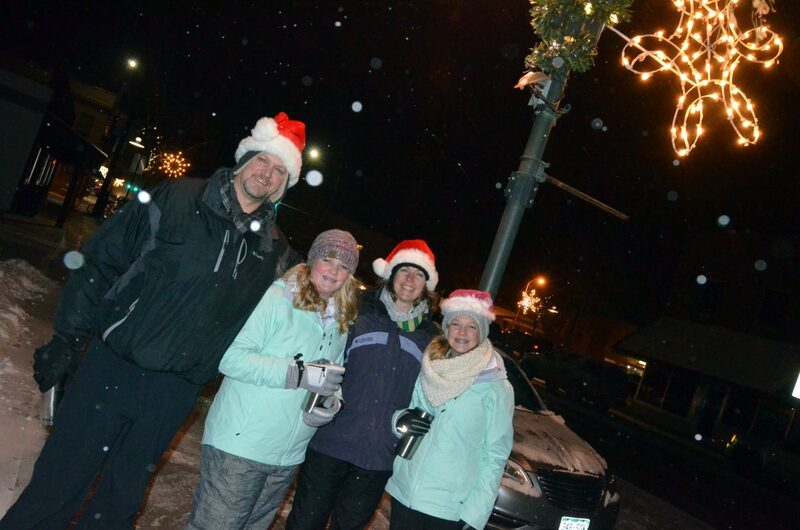 The Jones family, Don, Ellina, Misty and Alexis don their holiday gear and hot beverages to watch the downtown Craig Parade of Lights Saturday night. 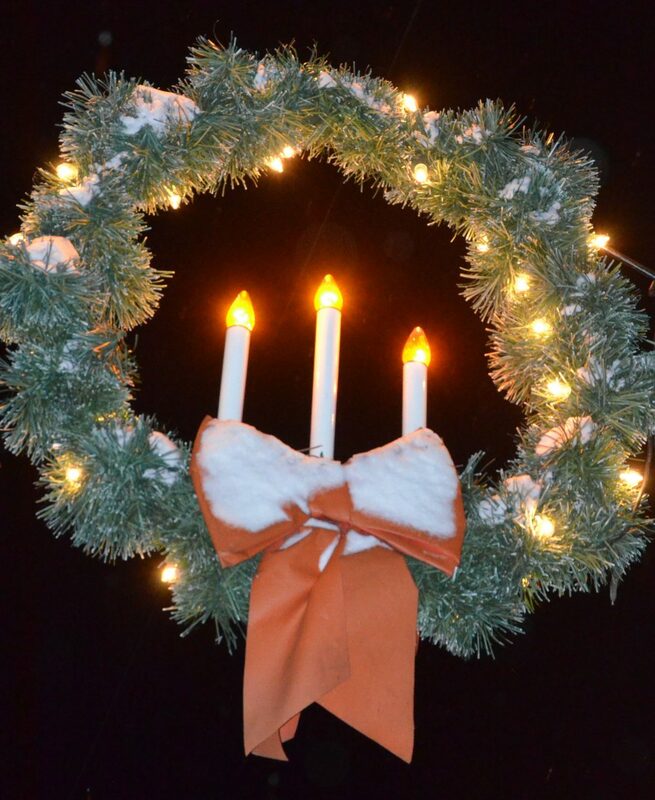 A lighted wreath hangs above Victory Way during downtown Craig's Parade of Lights Saturday night. 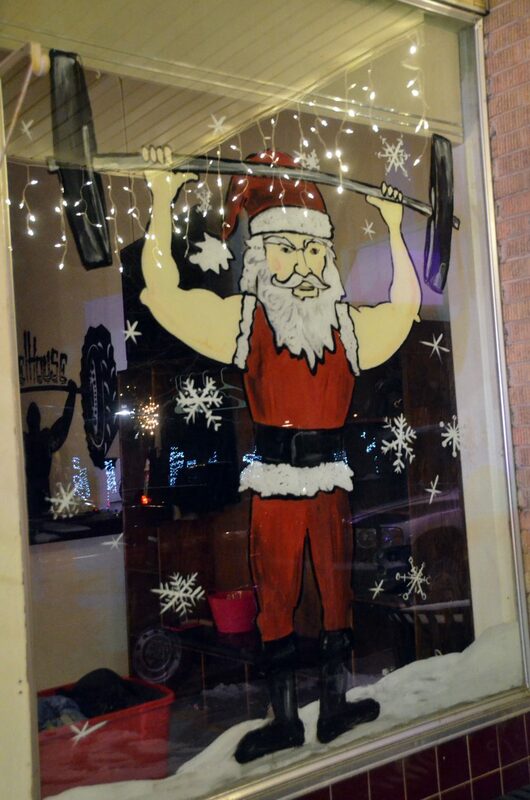 So much for the fat man... A window decoration of a slim Santa adorns WHC CrossFit during the downtown Craig Parade of Lights Saturday night. 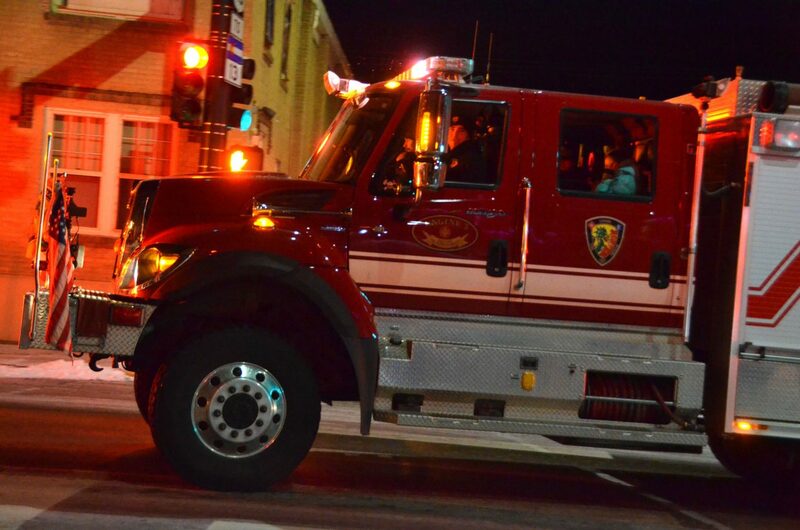 A Craig Fire/Rescue truck is among the first vehicles as part of downtown Craig's Parade of Lights Saturday night. 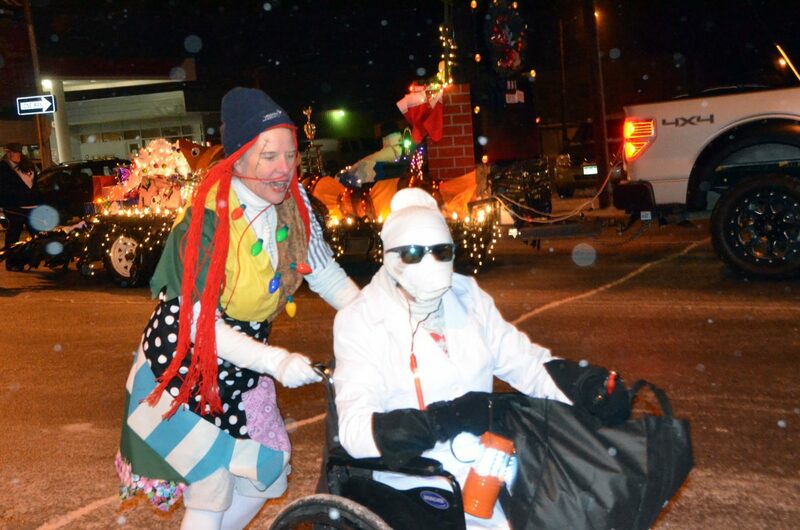 "The Nightmare Before Christmas" heroine Sally pushes along Doctor Finklestein on Victory Way during downtown Craig's Parade of Lights Saturday night. 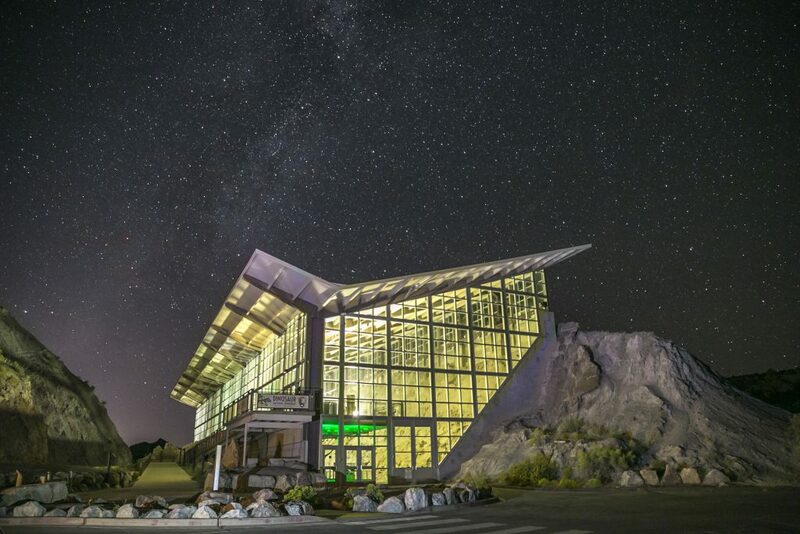 The entry for UCHealth won first place in the contest. 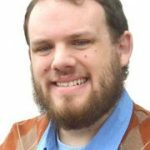 Craig crowds rang in the holiday season Saturday evening with the brief but festive Parade of Lights, hosted by Downtown Business Association. 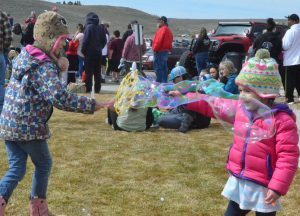 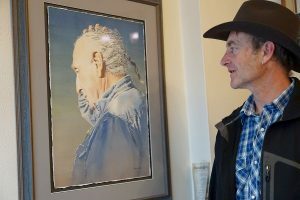 A respite from the wind and snow that hit the area late Friday and Saturday allowed a window of opportunity for those on the march to hit the streets, heading southward on Yampa Avenue before heading onto Victory Way. 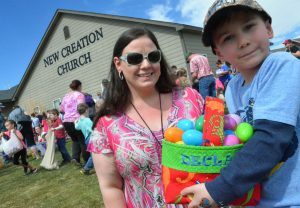 The theme, “A Christmas Parade for Everyone,” included a little bit of everything, ranging from emergency vehicles bedecked with lights to floats celebrating yuletide movies and more. 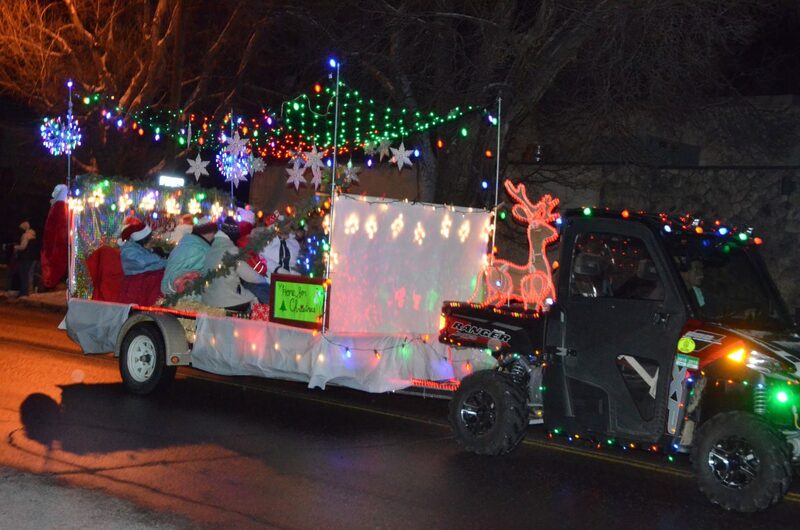 Craig Fire/Rescue won Yampa Valley Electric Association’s prize for brightest light display with a shining float set at the North Pole.